The Infinix Hot 3, which started selling on 29th March on Kilimall is the successor of the underwhelming Android one device, the Infinix Hot 2. Android one is a project where Google partners with phone manufactures to release a very low cost device, giving you the best that Android offers. This means stock Android, immediate roll out of updates and not having to deal with other preloaded application and gimmicky software from phone manufactures. Google partnered with Infinix Mobility to release the first Android One device in Africa, the Infinix Hot 2. It was impressive, but not for too long. In no time, the allure of having an all Android device was let down by unimpressive hardware that ended up producing a lacklustre, laggy experience. Will the next Infinix Hot device be a reworked model of the Android one project? No. It is its own device, with its own identity and hopefully a much needed upgrade from the previous Infinix Hot 2. Out of the box, you get the device, some earphones, which is becoming rare with many manufacturers, a charger and USB cable. Straight out of the box, you can get to appreciate the change in design from the previous Hot device. I have the Space Grey variant (Apple anyone…), which looks quite good. Other than the back cover having some texture, it also curves inwards, similar to how the Samsung Note 5 does and this combined increase grip and beauty of the device. So far, I love how this device feels in the hand. It is a big phone, but doesn’t feel out of reach, maybe we are used to 5 plus inch devices now. Design wise, I would give this device a 7 out of 10. It’s not perfect, but you can live with it. If the capacitive buttons were backlight however, maybe that score would increase a bit. I like how the screen looks. It is quite brilliant and clear although, some colours suffer and seem very washed out. I have to point it out that I am not a fan of XUI. I do not like how the icons are sharp and 2 dimensional. Now you cannot get a pure Android experience as you would on the Hot 2, but there is an app called XThemes to get your phone to look like something else. You can choose an Apple theme, Google, Valentine’s Day theme and even a World Cup theme (this should be perfect in a couple few years right). And on that note, we advise you join the official Hot 3 discussion page on the Xclub forum, where you will find the community of others also using the Hot 3 and discuss topics around the Infinix Hot 3. Now that we are on those ‘X’ apps, they are many already preloaded on the device. From Xwallpaper, Xclub, Xcontacts and a few more. If you do not mind them you can use them or simply uninstall them, no big deal. Performance wise, it seems to keep up, but I haven’t really pushed it yet. I do expect some stutters here and there, but hopefully not too much. You have to remember that this device comes with 1GB of RAM so multitasking might be an issue. 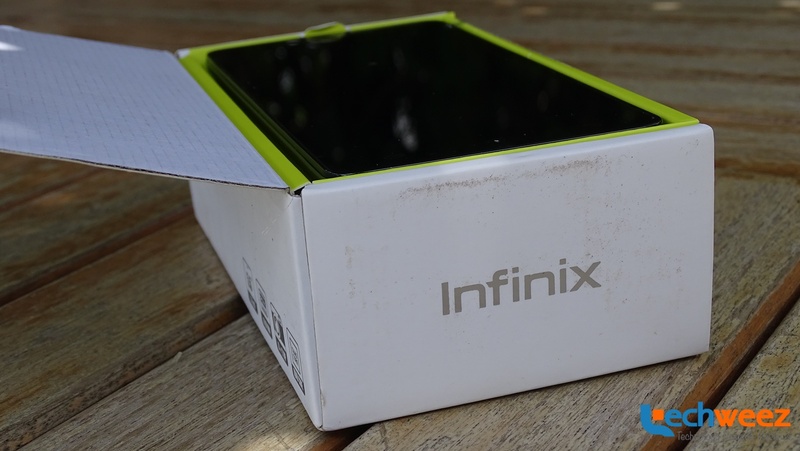 I’ll be using the Infinix Hot 3 for a couple of weeks as my primary phone in order to test it out and give you a comprehensive review about it. It is priced at Kshs. 7,899, a very low price, so I hope that it works very well in spite of its budget price. Be sure to watch out for it!